Ambulatory blood pressure monitoring involves the monitoring of the blood pressure of the patient over a 24-hour period as he/she carries out daily activities. These allow for regular monitoring of blood pressure levels in the body at specific time intervals, usually ranging from 15 to 30 minutes. 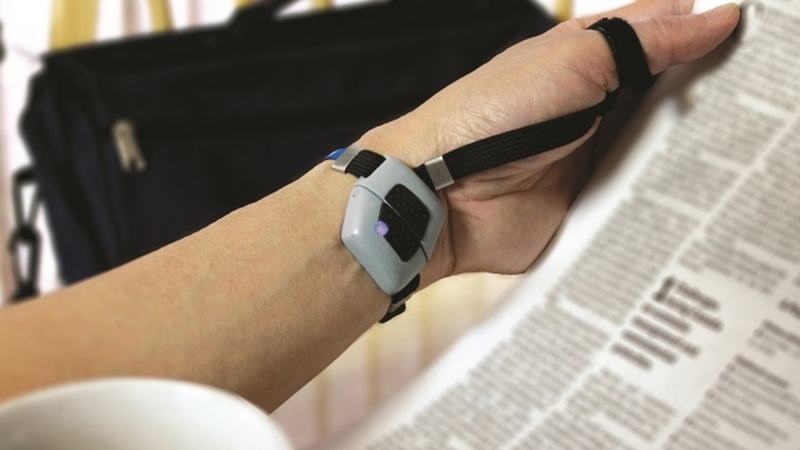 A compact and lightweight automated monitoring system is connected to a cuff on the patient’s upper arm, which inflates when measuring blood pressure. It provides detailed information about the blood pressure changes, correlating to the daily activities and sleeping patterns. Ambulatory blood pressure monitors are mainly used for indications such as white-coat hypertension, nocturnal hypertension, masked hypertension, and episodic hypertension. The devices are also used to monitor patients at major risk of cardiovascular and cerebrovascular events linked to hypertension. As compared to in-clinic and home blood pressure monitoring, ambulatory monitoring devices can recognize abnormal variations in blood pressure that may be unnoticed during routine checkup. Lower misdiagnosis chances, continuous monitoring and accurate blood pressure profiling are major advantages of the ambulatory devices in comparison with conventional blood pressuring techniques. The market is gaining significant traction due to rising prevalence rate of hypertension and cardiovascular diseases. In 2015, an estimated 1.13 billion people were living with high blood pressure worldwide, with the majority of them in low and middle-income countries. According to the World Health Organization 2016, blood pressure is estimated to cause 7.5 million deaths globally, almost 13% of all deaths. Moreover, rise in obesity and depression amongst all age groups also increases prevalence of cardiovascular diseases, inadvertently creating a conducive environment for growth of the global ambulatory blood pressure monitors market. Furthermore, increase in geriatric population would fuel the growth of this market. Growing geriatric population and increasing adoption of unhealthy lifestyles, including alcohol consumption and smoking are major factors fueling market growth. This target population is highly prone to high blood pressure and are at risk of hypertension, in advertently driving demand for blood pressure monitors. As reported by the World Heart Federation, 970 million people worldwide suffered from elevated blood pressure in 2015. Of this, around 330 million people suffered from hypertension in developed countries, while the remaining 640 million were in emerging economies. Certain preventive measures accompanying regular monitoring of the blood pressure can make a significant difference in treatment of hypertension. The blood pressure supervision can be easily carried out with the use of wearable and ambulatory blood pressure monitoring devices, which will correspond to the growth of the global market. The market in Asia Pacific is expected to gain major traction over the forecast period, mainly due to favorable FDI policies in emerging economies such as India and China. However, high costs of the portable devices and unfavorable reimbursement scenario restrain market growth. This report segments the global ambulatory blood pressure monitors market on the basis of product type, end user, and geography. On the basis of product type, the ambulatory blood pressure monitors market is categorized into wrist and arms. On the basis of end-user, the ambulatory blood pressure monitors market is categorized into hospitals, clinics, ambulatory surgical centers, home care settings and others. For comprehensive understanding of market dynamics, the global ambulatory blood pressure monitors market is analyzed across key geographical regions namely North America, Latin America, Europe, Asia Pacific, Middle East and Africa. Each of these regions is analyzed on basis of market findings across major countries in these regions for a macro-level understanding of the market.